I’m a little late jumping on the energy ball bandwagon here. But the beginning of the new year seems to be the most appropriate time to share my latest obsession. Energy Balls… I know, I know, there are ton of different versions out there, but here is my contribution. Inspired by the filling of these pinwheel cookies, I made the base of these snack balls with dried figs, dates and dried cherries. Per my husband’s advise, I soaked the figs and dates in boiling hot water for a minute to soften. Makes it easy to blend everything together. Small amount of cocoa powder adds mild chocolate flavor, just enough to fool myself that I’m enjoying a chocolate dessert. 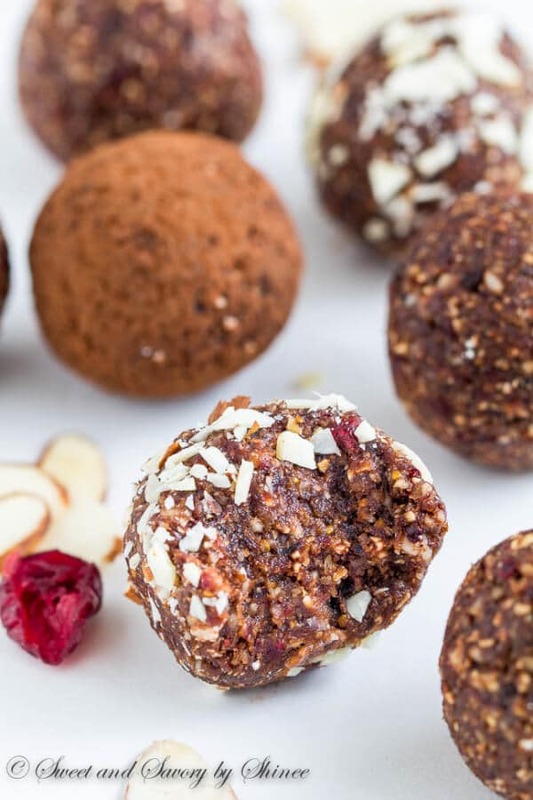 To dress them up, roll the balls in chopped almonds or cocoa powder. Pretty, pretty! Are you enjoying your green smoothies, freshly squeezed juices, or other healthy food? Or you’re like me, still thinking about desserts and chocolates? 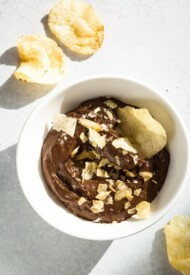 At least, this one is made with healthy ingredients, so you can indulge quilt-free, right? In moderation, of course. 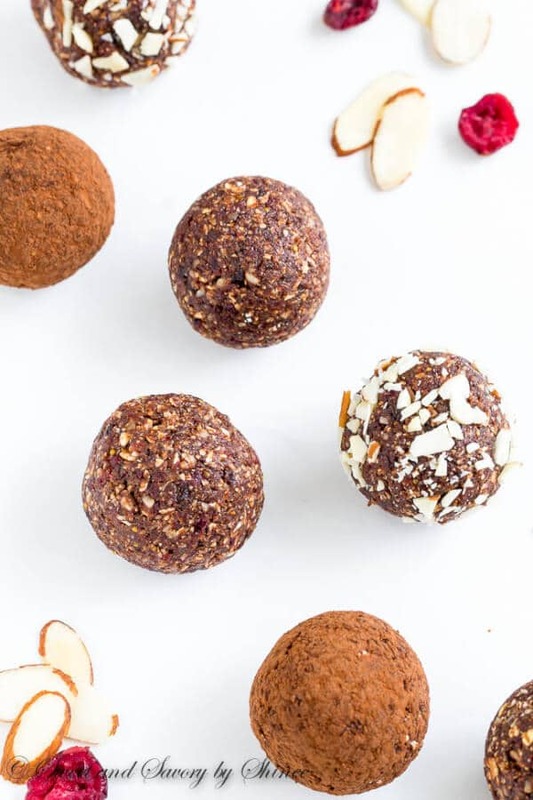 Made with all natural, good for you ingredients, these almond energy balls are so easy to make and absolutely satisfying. In a medium bowl, put dates and dried figs. Pour boiling hot water and soak for 1 minute. Drain. 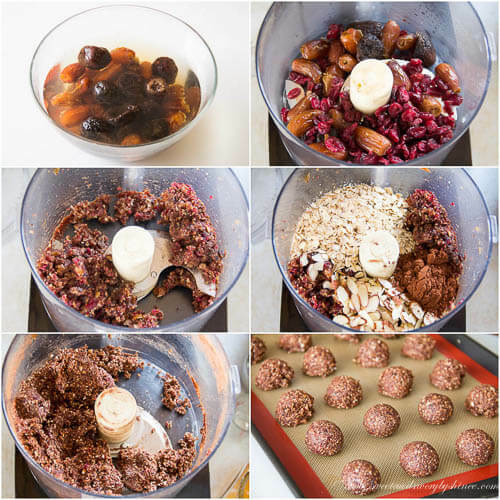 Place the softened dates, figs and cherries in a food processor and pulse until well blended, about 2 minutes. 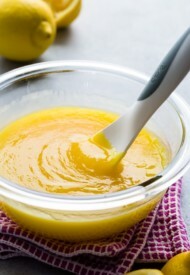 Add the remaining ingredients and process until the mixture is well combined, about another 2 minutes. Using a medium cookie scoop, form 1.5-inch balls. Roll them in cocoa powder or chopped almond, if desired. Store in airtight container for up to 5 days. Thanks, Nagi. Can’t wait to see your version. Oh my, these look fantastic! Can’t wait to try them! Love your original and beautiful recipes you post! 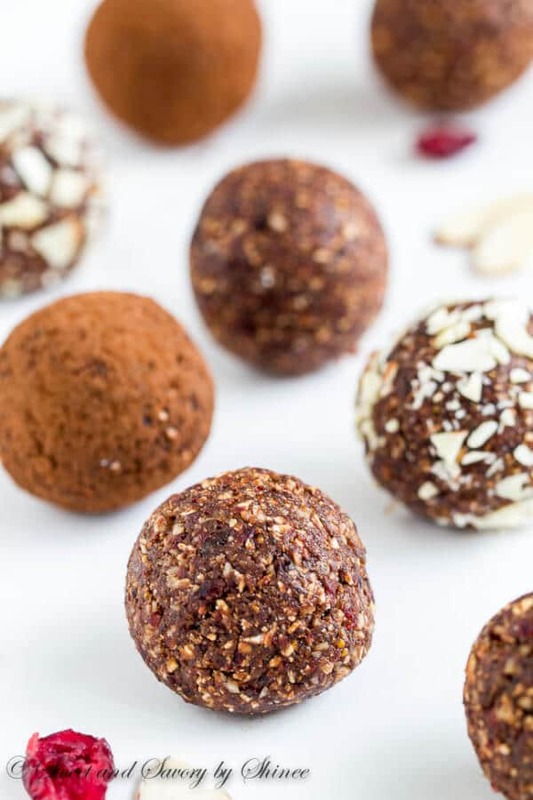 There can never be too many energy ball recipes out there if you ask me!!! love these! esp love the dried figs and dates!! Oh, dried figs were the best. That’s my favorite. 🙂 Thanks, Alice. 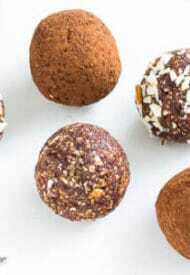 I’m in love with these energy balls! Can’t wait to try them! Pinned! Great minds! 🙂 I would totally trade my bars for these balls! They look fantastic, Shinee! Pinned of course! I need to get on the energy ball train! I’m buying dates today. Pinned! I love the flavor combination of these “balls”. We eat a lot of these little energy bites with all different flavors. My favorite is key lime, but I can’t wait to try these!